The Tabby Awards /Business and Mobby Awards /Business recognize the best tablet and smartphone apps for business and professionals. The Tabby Awards /Business has announced the nominees for its 2015 competition, which determines the best mobile apps for business and professionals. In addition to the existing Tabby Awards /Business judging for tablet apps, the Mobby Awards /Business have also been introduced, specifically for recognizing smartphone-optimized apps. This year’s nominees were selected by an international judging panel of 24 mobile experts, from a pool of over 150 apps. The Tabby Awards /Business has 56 tablet-optimized nominees, while the Mobby Awards /Business has 34 smartphone-optimized apps in the running for its awards. The innovation and creativity from this year’s participants was top notch! Innovation has come through on all fronts; from broad-based productivity apps as well as from very niche, specialized enterprise apps. 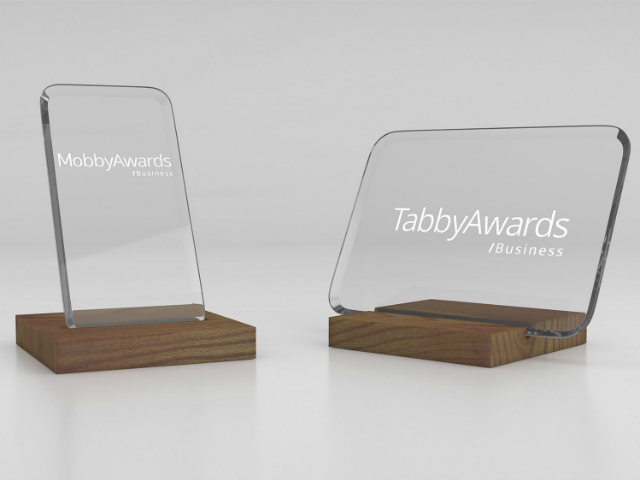 The 2015 winners for the Mobby Awards /Business and Tabby Awards /Business will be announced later this year. Check out the nominees below, separated by operating system.